The Liberator is short, sharp story that kicks off a new noir/ horror serial from Paul D. Brazill, creator of Roman Dalton – Werewolf PI. A priest tracks down his kidnapped sister and finds her trapped in a nest of evil. Van Helsing meets The Punisher in a hard-boiled noir/ horror. Like black pudding, it don’t get much blacker. If you’re accustomed to Brazill’s off-kilter humour lightening the mood between grisly bonecracks, you won’t find much of it here. This little gem is hard as diamond and goes relentlessly for the throat. The seedy London that lives in so much of his work appears here as in stark black ink. The tale speeds along like a noir nightmare with just a touch of the supernatural. Bitter and black as a vampire’s heart. Part of the Xmas freebies from Blackwitch Press: get them all before the deal is done. 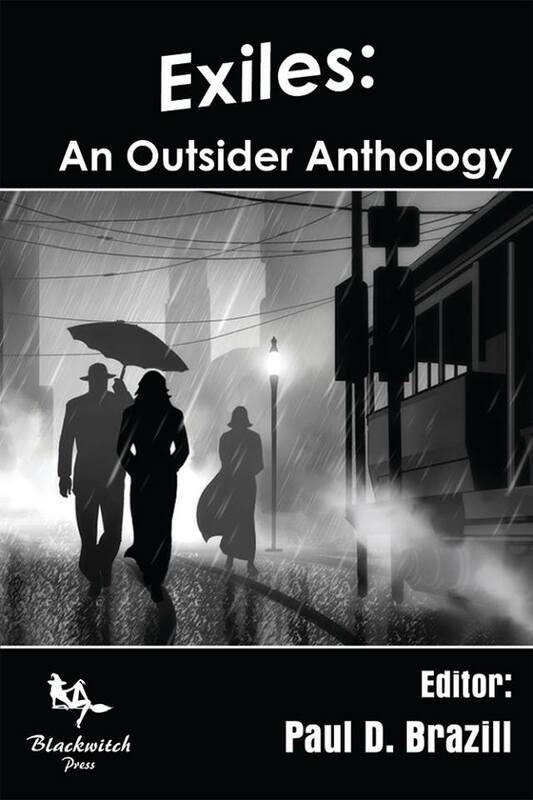 Blackwitch Press‘ Exiles: An Outsider Anthology is included in the international crime StoryBundle. 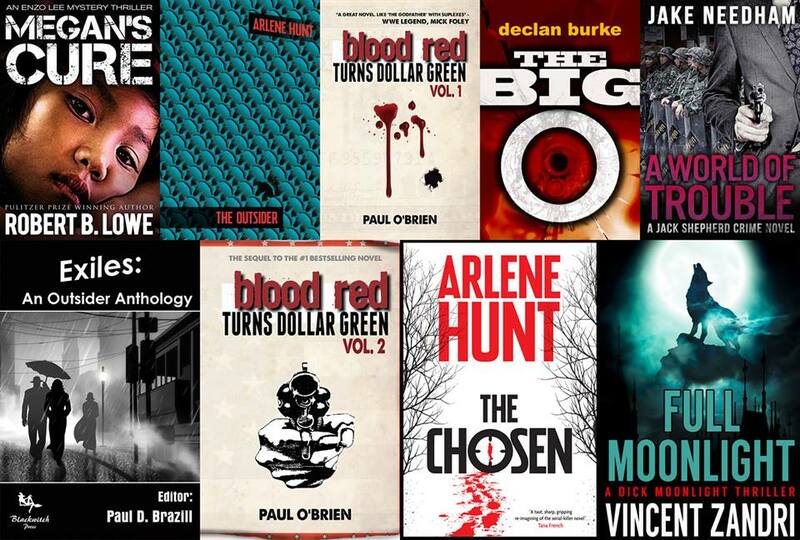 The International Crime Bundle features 9 crime titles for a price you set. We’ve got novels from some of the best crime writers today, having picked up such awards as the Goldsboro ‘Last Laugh’ Award, Anthony, Macavity and Agatha Award, Spinetingler Book of Year, Pulp Pusher Book of the Year and a small matter of a Pulitzer-prize! Vincent Zandri, Paul O’Brien, Arlene Hunt, Declan Burke, Jake Needham, Robert B. Lowe and, of course, me and the cast of Exiles: An Outsider Anthology. Out now, a charity anthology of the best and the brightest darkest in support of the Marfan Foundation. Sadly, it has become a tribute also to Colin Graham, whom we lost quite unexpectedly this month. I’m glad to have a last chance to join him between the covers of this book along with all these other fine folk. Coming soon — a charity anthology of the best and the brightest darkest in support of the Marfan Foundation. Sadly, it has become a tribute also to Colin Graham, whom we lost quite unexpectedly this month. I’m glad to have a last chance to join him between the covers of this book along with all these other fine folk.